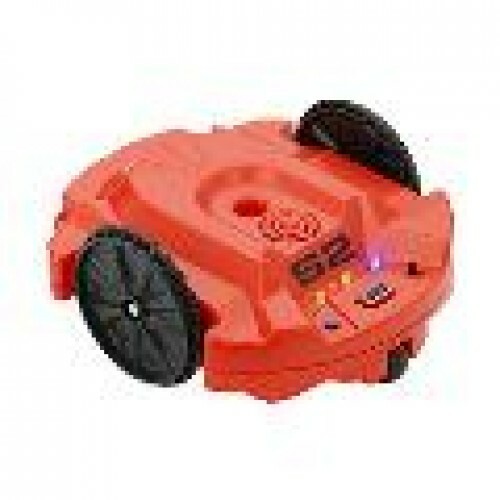 The S2 robot is suitable for a whole variety of programming skills. The Scribbler robot arrives pre-programmed with eight demo modes, including light-seeking, object detection, object avoidance, line-following, and art. Place a Sharpie marker in the pen port and it will scribble as it drives. Next, use the Graphical User Interface (S2 GUI) tile-based programming tools, or modify the Propeller source code in the BASIC-like Spin language. Through the use of third-party tools you can also program the S2 on a Mac or under Linux, in PropBASIC and C (resources for these languages will follow the release). The benefits and flexibility of Spin in multi-core systems provides easy compartmentalization of S2 subroutines that run concurrently with shared memory. Controlling motors, managing sensors, and interfacing with the hacker port can be done concurrently even while playing sound; the Propeller makes it all possible.